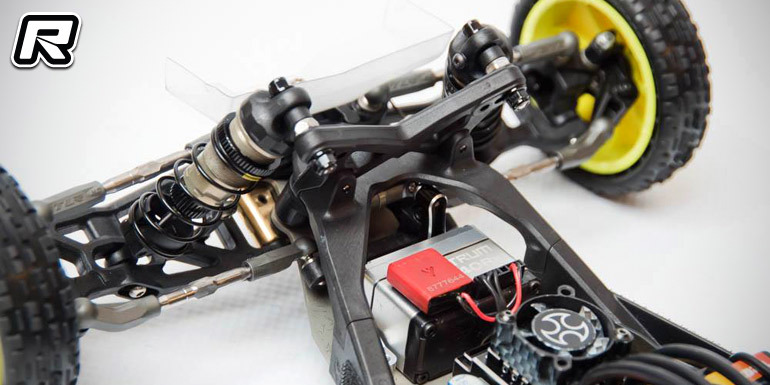 During last weekend’s International Offroad Carpet Championship in Las Vegas, Nevada Team Losi Racing have unveiled their forthcoming TLR 22 5.0 2WD 1/10th scale buggy. 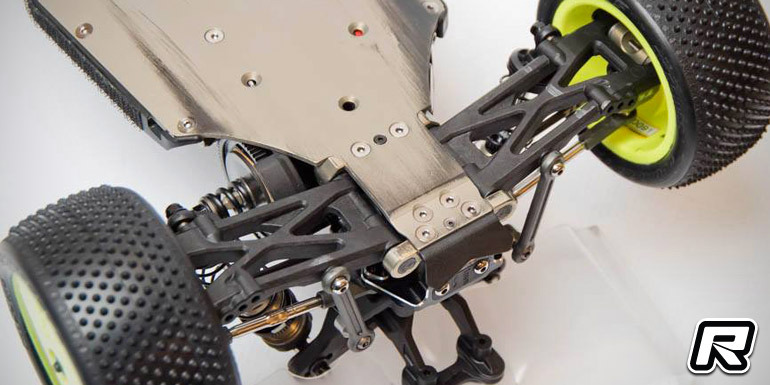 The buggy makes use of the popular 22 platform and will hit stores as the AC Astro-Carpet, DC Dirt-Clay and SR Spec Racer variant all of which will offer specific features to excel in the given environment or class. On show in Vegas was the AC Astro-Carpet car that will come with everything included right out of the box to be competitive from the get-go when running on high-grip astro turf or carpet tracks. You can find a brief rundown on the new features after the break. – New camber block – Now has three positions. The original inside hole plus and outside hole and now a middle position. Added 1mm height so you don’t have to run as many ball stud washers to get the correct height while adding durability at the same time. 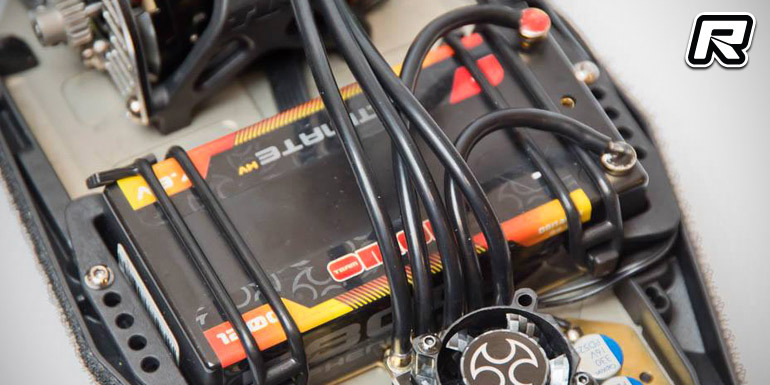 – Battery Strap System – It keys into the mudguard that has 5 repeatable locations so you can have the battery in the same position time and time again. 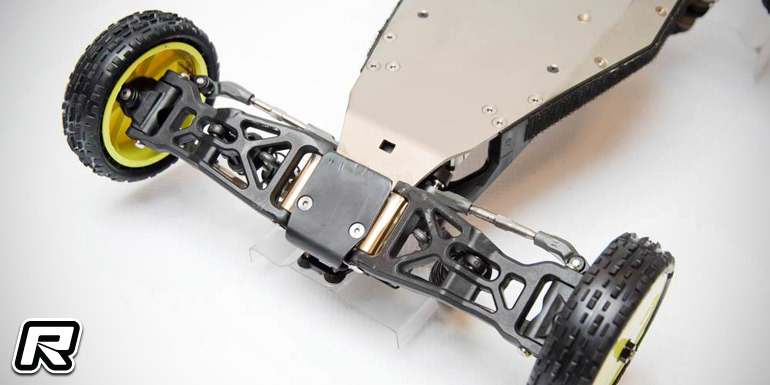 The battery is held in the battery cradle with an elastomer band that stretches to any battery shape or battery heights when using different brass plates. – G3 Shocks – The new shocks use a 12mm bore with an all-new 3mm shock shafts with all the seals and bushings to accommodate the new shafts. The pistons are the screw on type and the included kit springs are low frequency. The eyelets come in standard height and a +2 cup that hold the low and high spring cups, which screw into the eyelets for nice secure hold. New molded caps are a little shorter up top with thinner spring collars to get more ride height out of the car for low ride heights related with carpet racing. – New Slipper System – Called The Super Heavy Duty Slipper, it uses larger M5 shaft with a new spring that has an extra half coil so it stays flatter. The slipper plates are a new smaller diameter so that they don’t deflect as much. The slipper pad materials are now smaller that fit into the new spur gears that come in 69, 72, 75, 78 and 81. 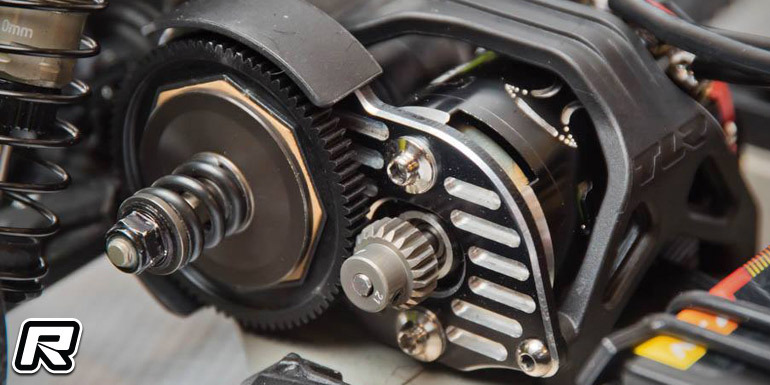 – New Gear Differential – Uses composite internal gears and machined lightweight outdrives which overall provides a dramatically low rotating mass unit that performs very well and provides more grip than the conventional gear diff. 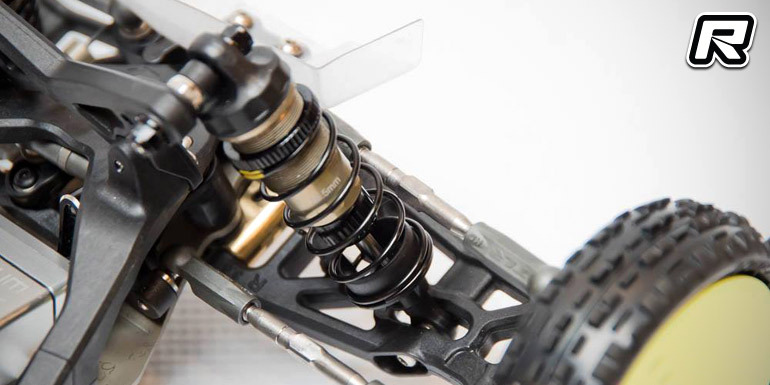 – 68mm Drive Shafts – The 68mm shafts are included in the kit and the new length prevents less bone lock up over the inner pin, which allows the car to roll more on power that is a plus when racing on carpet. 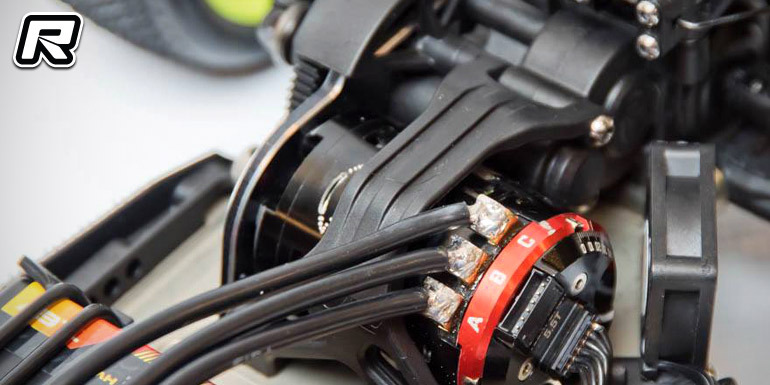 – Revised Steering Geometry – Uses new bellcranks, rack and spindle arms, which allow the car to have more variance in ackerman settings and basically allows the car to have more steering with low speed and smoother high speed. 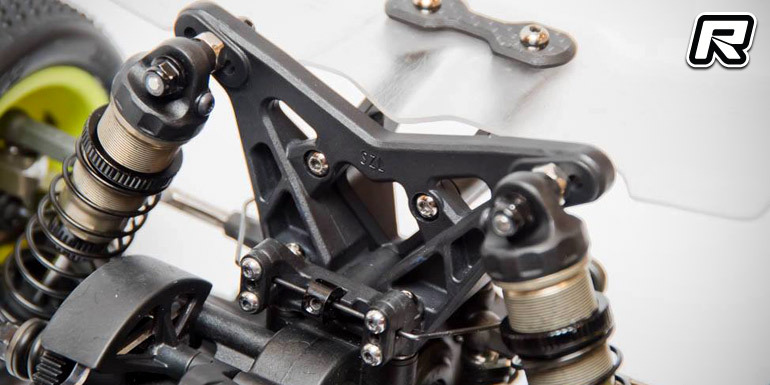 New angled steering ball cups allow the new steering geometry to fit around the shocks when they are in any location. – New Front Sway bar Mount – Adjustable from the front of the car, so very little disassembly is required to adjust or change the sway bar. Different size bars will fit and will be available for different conditions. 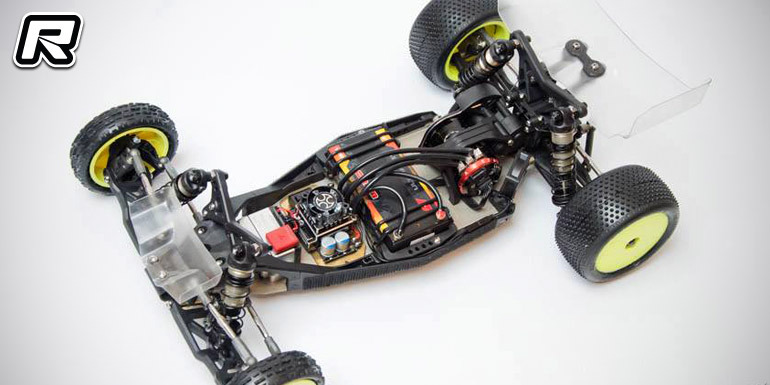 The car shown is Frank Root’s TLR 22 5.0 AC with optional parts. 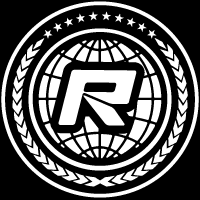 No word yet on a release date but we keep you posted on updates and more detailed images.